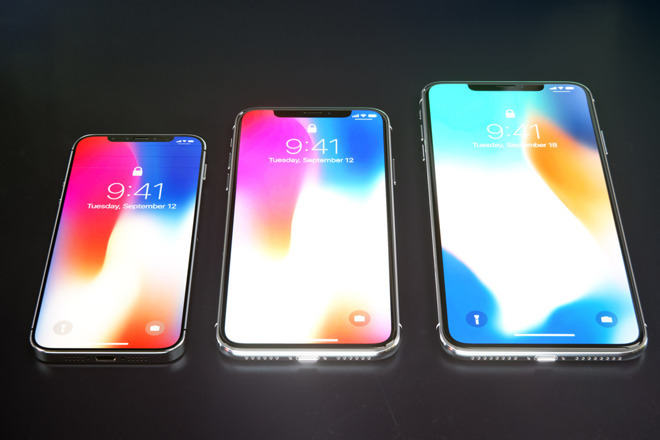 Both of the higher-end models are predicted by Gurman to include Face ID. Also expected is the "A12" processor and iOS 12 —a logical increment from the A11 and iOS 11 in 2017, and the A10 and iOS 10 in 2016. Possible inclusions in the new phones are either dual-SIM capability, or inclusion of the nascent E-SIM technology. Gurman believes that a "low-end" model with Face ID will be released as well, using LCD screen technology with to keep the costs down. It is predicted to have aluminum edges and a glass back like the iPhone 8 —but Gurman does not delve into the size of the device.